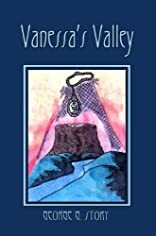 Three years after Vanessa Taylor stumbled upon the valley and its hidden secrets, she is still the faithful confidence keeper; but guarding its existence and the truth of her real role in life is very difficult at times. While looking for a classic to satisfy a book report for her English literature class, Vanessa finds another telling of the origin of the valley’s secret and, difficult going as the reading may be, she is driven to read through it. Mrs. Taylor is also watchful of what goes on; she observes and she waits and she surmises. All the while Vanessa becomes anxious with the way life is shaping up for Mr. Harris. Vanessa is also suddenly awakened to the realization that sometime (whether she wants to or not) she may be forced to reveal the confidence placed with her. The only question remaining is: to whom? About George G. Story (Author) : George G. Story is a published author of children's books. A published credit of George G. Story is Vanessa's Valley.